"Reproducibility of Results in Research and Publishing"
Format: Brief talks from each speaker, followed by a panel discussion with plenty of opportunity for questions/comments from the audience. Small refreshment will be available for all attendees of the symposium. 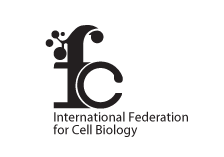 The organisers wishes to acknowledge and thank Czech Society for Cell Biology, z.s., EMBO and Karel Janecek, MBA, Ph.D, who contributed funds that enabled organisation of this symposium. More information about Karel Janecek, MBA, Ph.D can be found here.